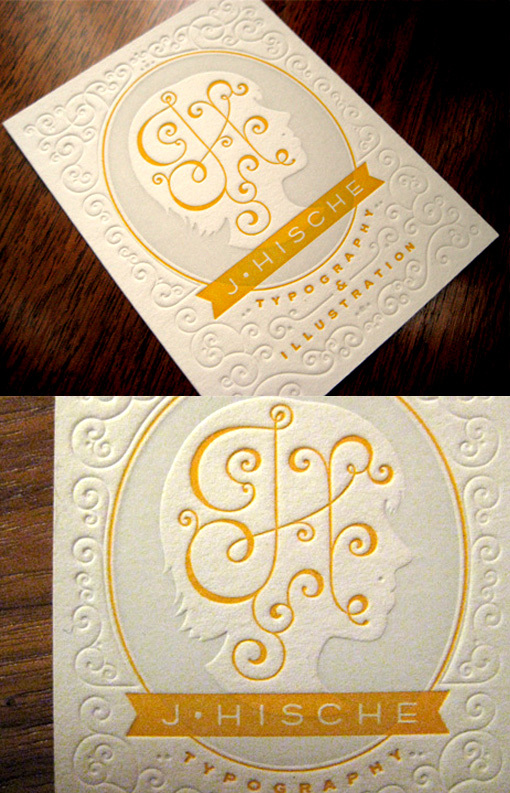 Jessica Hische designed and printed her own beautiful set of letterpress busines cards. The design of the cards reflects her talents as an illustrator, typographer and designer. Two colours have been used on the front of the cards - a lovely, subtle pale grey and a striking gold which makes a bright contrast. A blind printed texture has been added which gives the cards extra dimension and adds to the classical feel.